Ears is same size even the bonnet difference size . Bonnet in this picture might not be the one you order , might be different in placement of fabric and color possible different due to monitor of your computer screen. 0-3 months | head circumference up to 15” inches . 3.6 months | head circumference up to 16.5” inches . 6-12 months | head circumference up to 17.5” inches . 12-18 months | head circumference up to 18.5” inches . 18-24 months | head circumference up to 19.75” inches . 2t to 4t | head circumference up to 21” inches . If your child between size , we recommend to up size for room to grow . Follow us and tag us in your pictures. 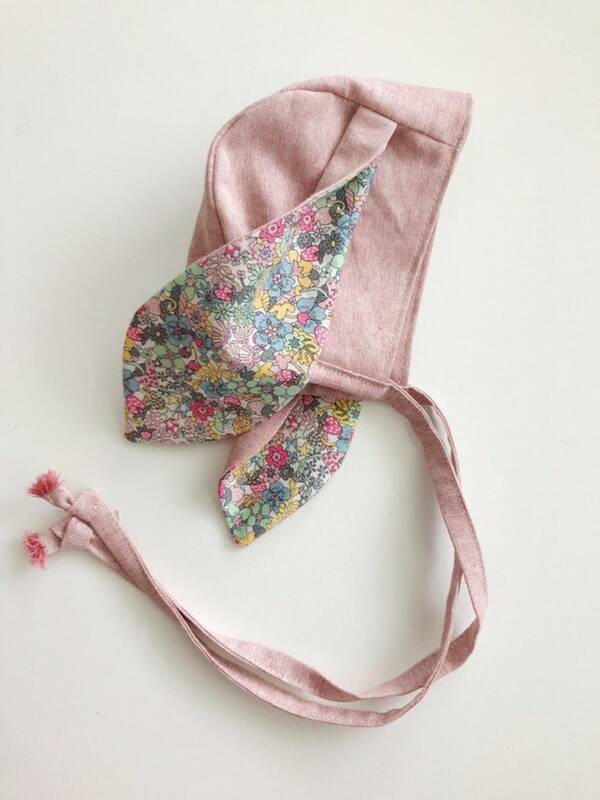 We love to see your little in ours bonnet !